No loving feline owner wants to put their pet into boarding concerned that she may spend the entire week feeling stressed and fearful. Fortunately, there are some things that you can do to help relieve the fears your cat may experience. Although she may seem fairly unbothered about whether you are at home or not most of the time, your cat will almost certainly experience some degree of separation anxiety when you leave her in a cattery for the first time. One of the best ways to help her to prepare for being left is to use a technique often known as gradual retreat. This involves physically separating yourself from your feline for short periods of time, perhaps using a crate at first so she can still see you, until she gets used to you being away from her for hours at a time. Despite often appearing to have no favorites where humans are concerned, you are still her absolute number one person. However, felines are often still very distrustful of humans in general, and while this often comes off as being aloofness, in many cases it is actually fear of unfamiliar faces and the behaviors that accompany them. You can help your cat to cope with this fear better by ensuring that she is exposed to lots of different faces on a regular basis. However, to reinforce this as a positive experience, you should make sure they are all faces of people who enjoy the company of cats and will make a fuss of your furbaby. Although any good cattery will keep cats from different households separated for the duration of their stay, your feline will still be able to hear and indeed smell those around her. If she is used to being in a household on her own, and especially if she is an indoor cat with little experience of other animals, being so close to a facility full of them can be overwhelming and more than a little scary. Exposing cats to other animals is easier said than done, especially when felines simply aren’t as social as dogs or humans. If you think your furbaby is going to be particularly stressed by this element of their stay in the cattery, it is worth speaking to your vet about the possibility of anti-anxiety medication for her, which should enable her to better tolerate the presence of other felines. The accommodation that your chosen cat boarding facility should provide should comprise of single-cat living quarters – unless you have more than one feline in your home that you wish to place into temporary care. This area should be big enough to enable your cat to sleep, eat, scratch and stretch. However, if your furbaby is used to having the run of the house, moving into a smaller space for the duration of her stay can be a big and potentially scary change. You can help prepare her for this using crate training, and slowly increasing the amount of time she is left in the crate before you return. The biggest fear of virtually any pet is that you won’t return after being away. Fortunately, you can help alleviate this worry by implementing a simple, low-key ‘leaving’ routine that you can get your kitty used to before you place her in the cattery. Since she will already have made the association between you leaving her using this routine and coming back again, by replicating the same routine when you leave her at her boarding facility, your feline will feel reassured that you will return for her. 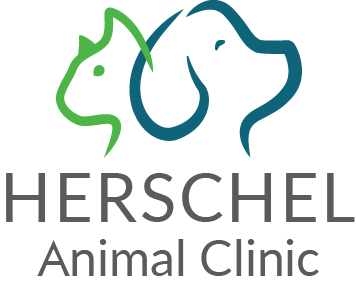 For more information, do not hesitate to contact us at Betty Baugh's Animal Clinic in Richmond, Virginia.